Thin flexible metal headband covered in silk and hand wrapped 3 rows of sparkling crystals. This is one of our pieces that has the most sparkle and definitely makes a statement. 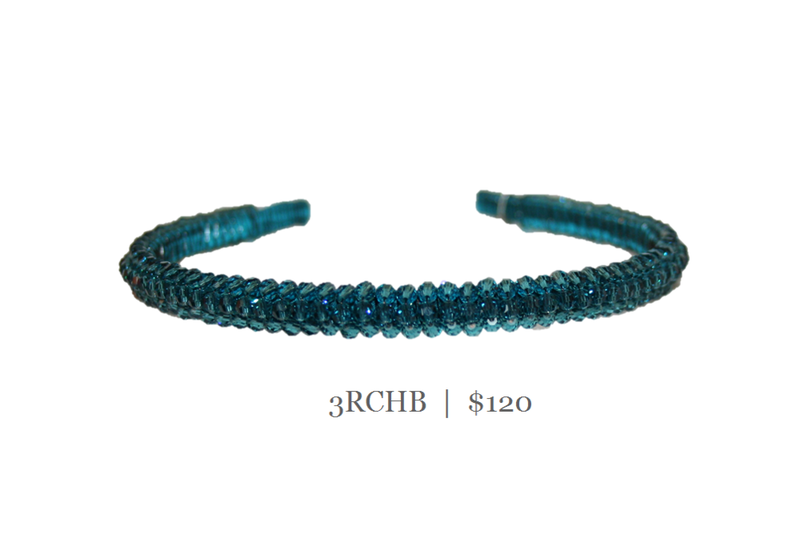 Shown here with beautiful teal crystals.